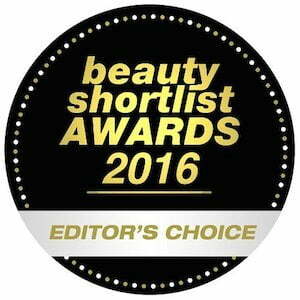 A crisp, invigorating laurel and rosemary blend – elegant and indulgent. Editor’s Notes: Imperium is a true Ancienne Ambiance classic. 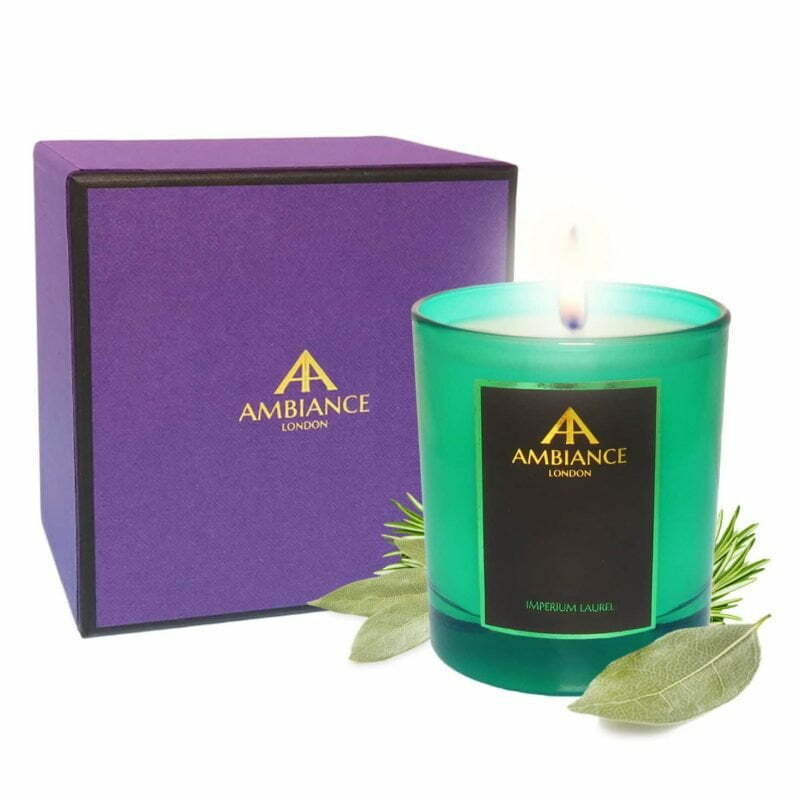 It’s that statement candle which radiates signature style. 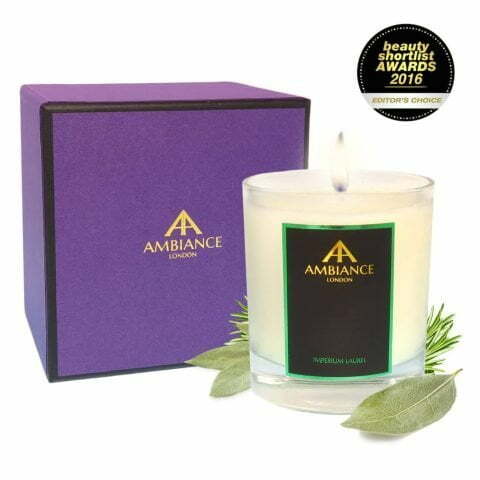 An elegant and indulgent scent, you will also notice rosemary within its blend. 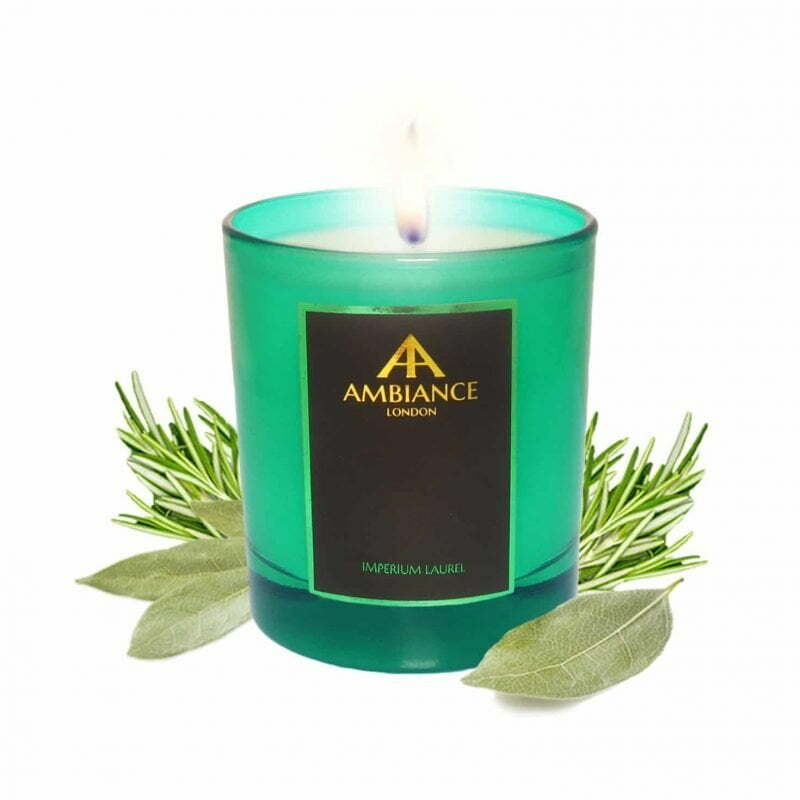 An aromatic combination to see you through many a celebration, Imperium Laurel is the perfect wind-down candle too. Fragrance Heritage: A crisp, invigorating blend of laurel and rosemary, Imperium (inspired by the Latin for ‘supreme power’) is a marriage of aromatic evergreen herbs with dry woody notes. Laurel was the emblem of victory, while rosemary symbolised loyalty and remembrance in Ancient Greece and Rome.